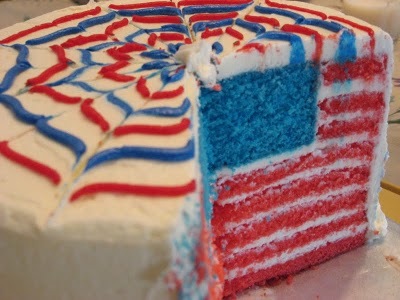 I love these star-spangled cakes. Cake Wrecks usually features horrible cakes, but these are breathtaking ones. 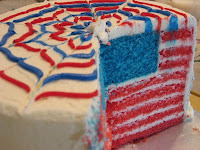 I especially love the ones that you cut into and then see the hidden flag inside.